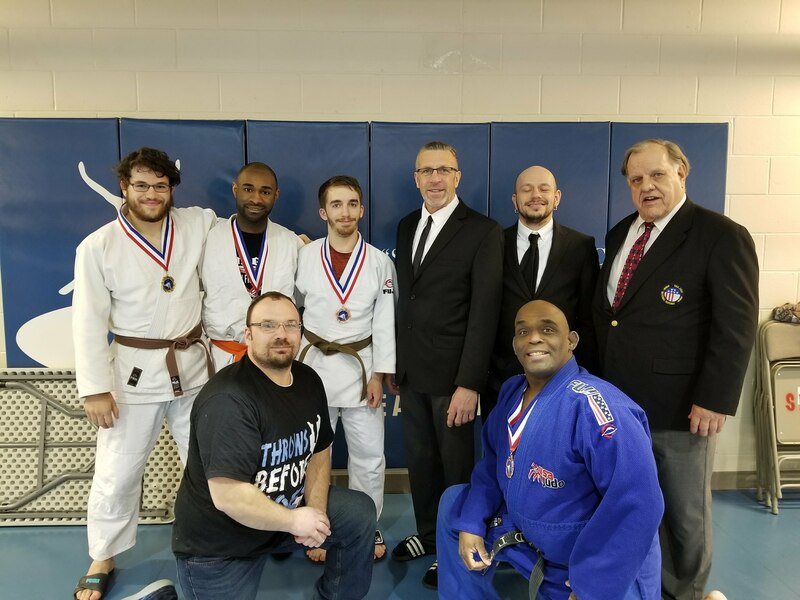 The Savoy Recreation Center in Savoy, Illinois was the site for the 2018 Midwest Collegiate Judo Championships on February 10, 2018. Derick Wellman, Jay Baker and the legendary 7th dan Randy Pierce officiated the tournament. Bryan Enlow was the designated player/coach for Team White Dragon. In the team competition, Team White Dragon represented the state of Missouri. The 5 man squad got off to tremendous start but was eliminated in the first round. Derek Clardy made his second appearance at this tournament. He ended the day 4-2 winning silver in his weight class. Byron Helmrich had his work cut out for him in his category. Byron managed to win some critical matches on his way to a bronze medal. The veteran Demonn Smith hit a thunderous drop seoinage in his bronze medal match. He ended the day at 3-2. Phillip Vojta took the MVP honors by scoring gold in his weight class. Vojta went undefeated in a stacked middleweight category. His showing was highlighted by a beautiful osotogari to the corner. 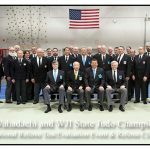 The 2018 Wahadachi and WJI State Judo Championships took place at Milwaukee Lutheran High School in Milwaukee, Wisconsin on January 28, 2018. 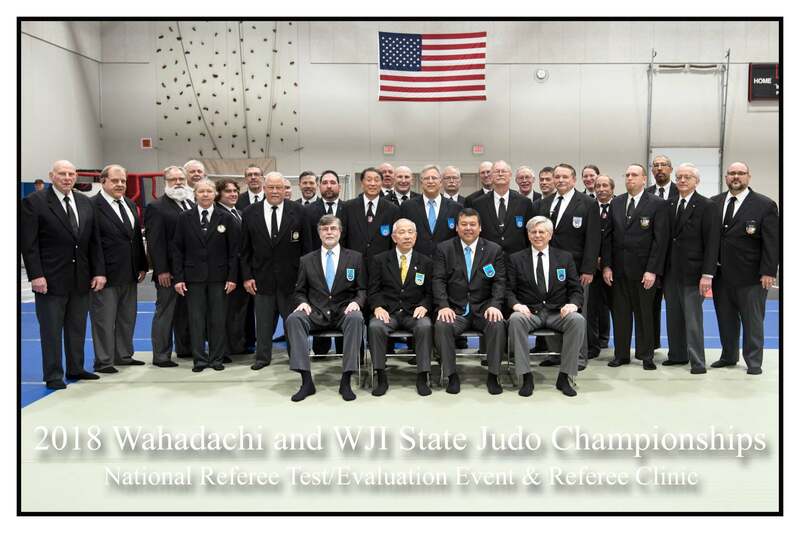 The event was officiated by the legendary 7th dan Randy Pierce and 4th dan Derick Wellman. Manareldeen Fajors represented Team White Dragon and took his division by storm. In his gold medal match he executed a good takedown into a splendid hadaka jime. He won the match by submission. M. Fajors went 3-0 on the day winning his second consecutive gold medal of the year. Photo courtesy of David Malek. 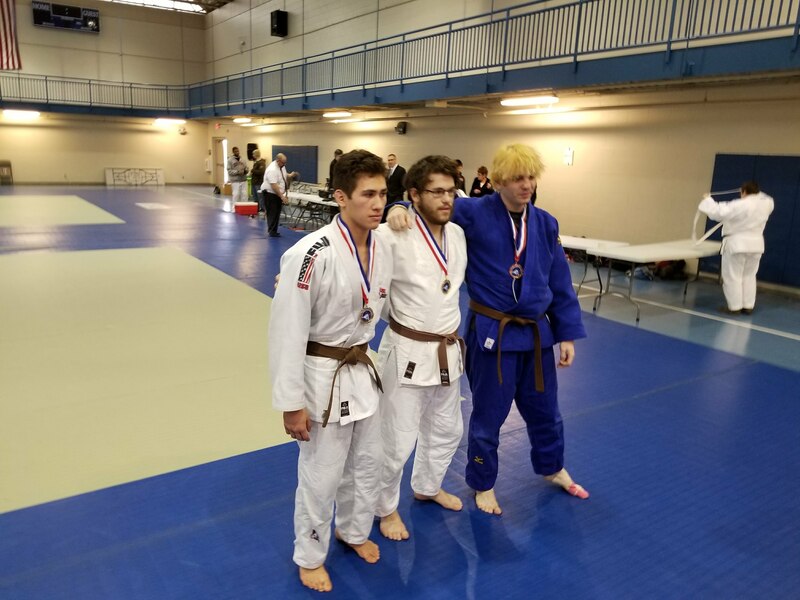 Joplin Judo and Jiujitsu hosted the first Friendship Tournament of the year on Saturday, January 27, 2018. 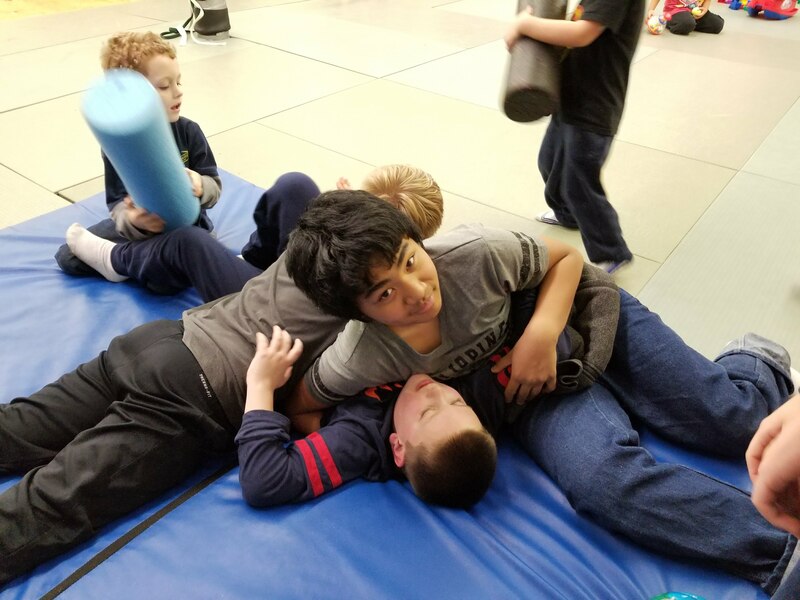 Members of White Dragon Judo Club participated in this dojo’s first Friendship Tournament. Owner, Amber Jones, was the tournament director and head referee for this tournament. 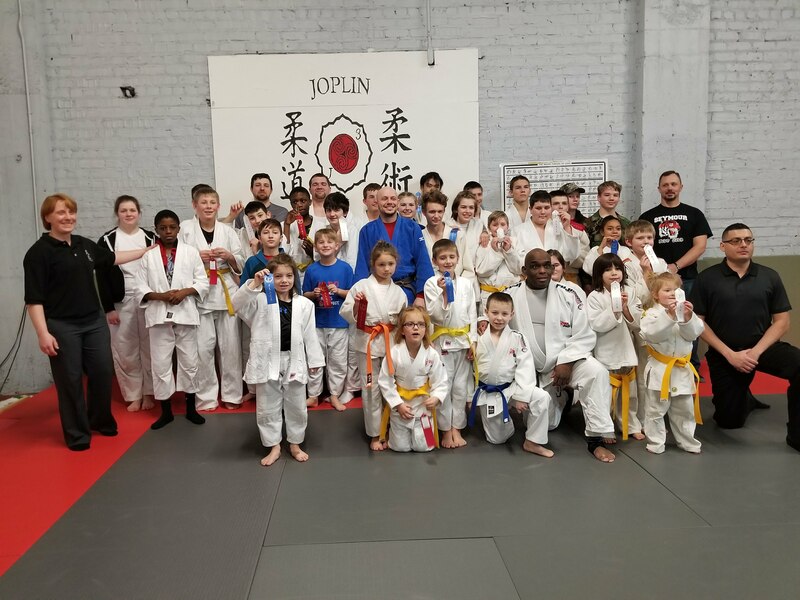 Joplin, Missouri has a big and growing judo community. There are 2 judo dojos in this town. The attendance was solid despite the inclement weather. The tournament consisted mainly of junior judo students. For most of them this was their first exposure to shiai tournament play. The students performed well and had a lot of fun. THAT IS THE MOST IMPORTANT THING. After the tournament, there was a ton of exhibition matches for these kids had a lot of energy. Some students stayed around to practice more with members of White Dragon Judo Club. Overall, the junior judokas displayed a humble yet eager, hungry spirit that will make you successful in the martial art of judo. This years 2018 White Dragon Holiday Party took place on Saturday, January 20, 2018. It was huge turnout of families and a lot, I mean A LOT OF KIDS. Members of White Dragon Judo Club, young and old had an great time catching up on old times and taking advantage of the buffet of food that the party provides each year. 2017 was a great year for the club as it has completed its 14th year of operation. 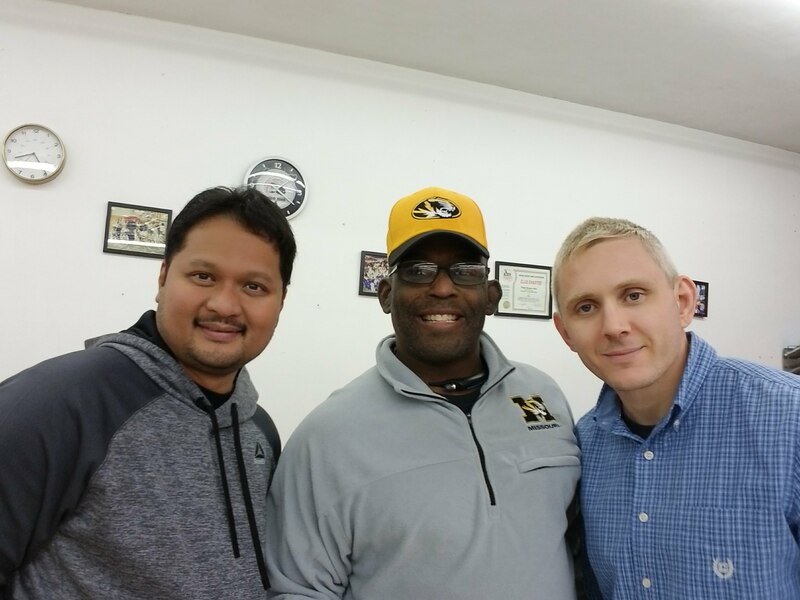 White Dragon Judo Club is one of very few independently owned dojos in the state of Missouri. 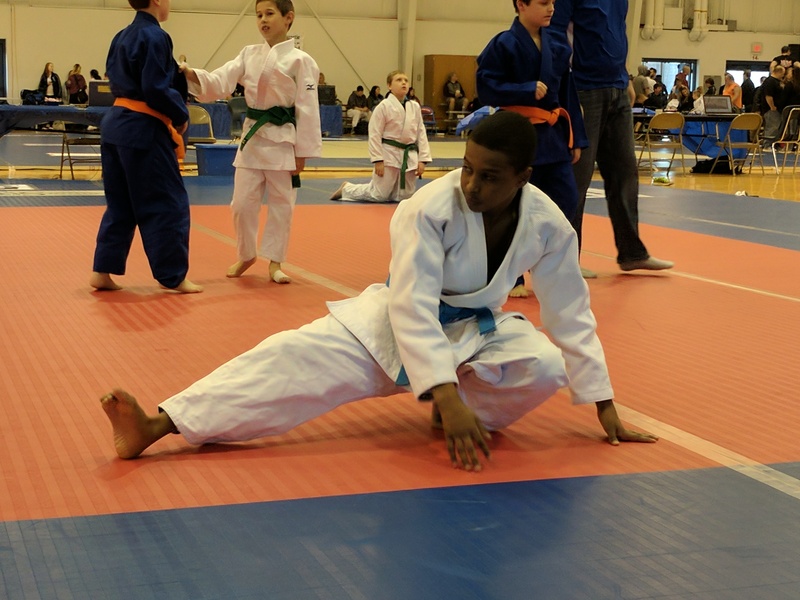 Junior judoka Manareldeen Fajor had a breakout year scoring gold in a majority of the tournaments he competed in. 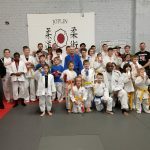 A clan of junior judokas Isabella, Mark and Edward Ter-Hovhannisyan made their White Dragon Judo Club debuts at the Gateway Judo Championships and showed they are the future for White Dragon Judo Club. Phillip Vojta’s skills is on the rise. He finished the year strong with a gold medal streak going into 2018. Jay Baker quietly dominated his weight class. Newcomer Derek Clardy made some gains but there is much to learn for the senior judoka. The Veterans division saw Dan Raney become the 2017 AAU Freestyle Judo National Championship. David Burke became head coach of TEAM WHITE DRAGON and the results were nothing short of spectacular. 2017 Instructor of the Year, Anthony Weeks took control of the junior classes and participation has increased significantly. White Dragon Judo Club acquired a loyal sponsor in Amore Pizza. 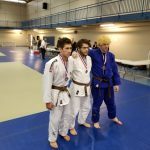 The 7th Annual Gateway Invitational Judo Championships was super competitive and is looking to attract more competitors next year. 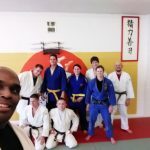 Owner, Derick Wellman continues to build the dojo into one of the best in Saint Louis, Missouri. He is regarded as one the best national judo referees in the region. 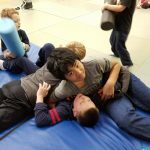 White Dragon Judo Club would like to take the time to thank the parents, friends, and volunteers who take time out of their busy lives to help this dojo grow. There are so many activities that go on at this dojo. Don’t miss out. Check out the club’s website and two facebook pages. Happy 2018 from White Dragon Judo Club! We will see you on the mat. 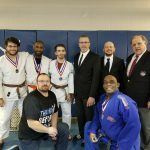 Hollis Park Judo Invitational took place on January 7, 2018 at the Hollis Park Recreation Center in Mapleton, Illinois. The legendary Randy Pierce was the senior official for the tournament. It was a low turnout to this event due the incumbent weather. Manareldeen Fajors represented Team White Dragon in the junior division. M. Fajors kicked the year off on a good note with a gold medal showing. The junior judoka executed a beautiful morote seoinage in the gold medal match. Manareldeen had a breakout year in 2017 and doesn’t show any signs of slowing down in 2018. 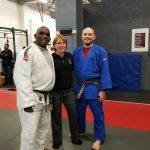 White Dragon Judo Club held a special judo workout on Saturday, December 23, 2017. There are not many holidays that the dojo is closed and Christmas Eve is no exception. Saturday’s practice featured former members Andrew Lazarz and his wife, current World Veterans Judo Champioships bronze medalist, Anna Feygina. 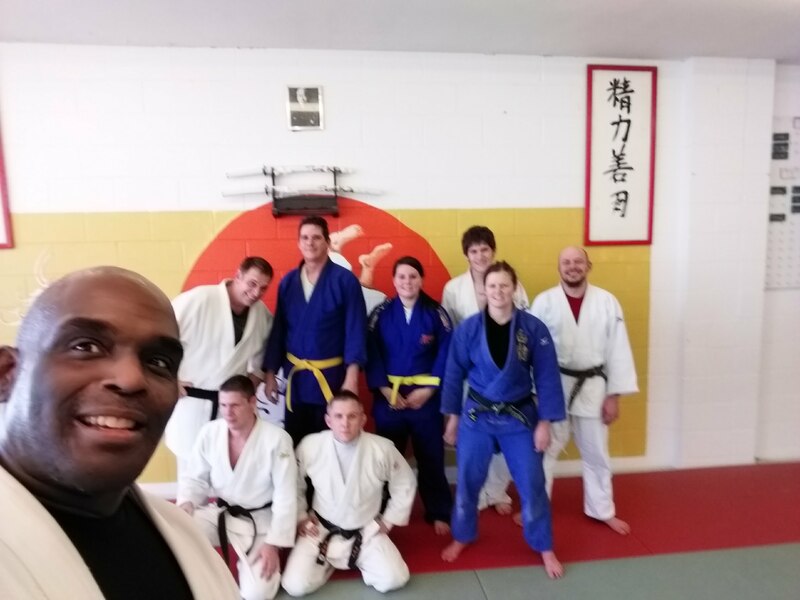 The practice, ran by Nidan Demonn Smith, consisted of judo warm ups, kumi kata randori, a brief instruction on sankaku jime and newaza randori. 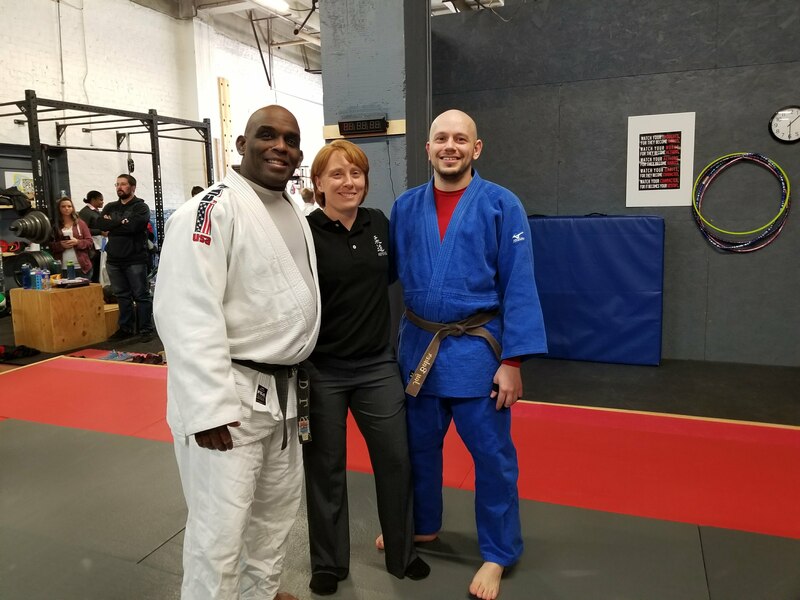 Anna Feygina and Andrew Lazarz have been mainstays in the Saint Louis judo community. 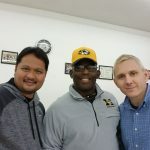 The two both received there black belts under Sensei Derick Wellman. 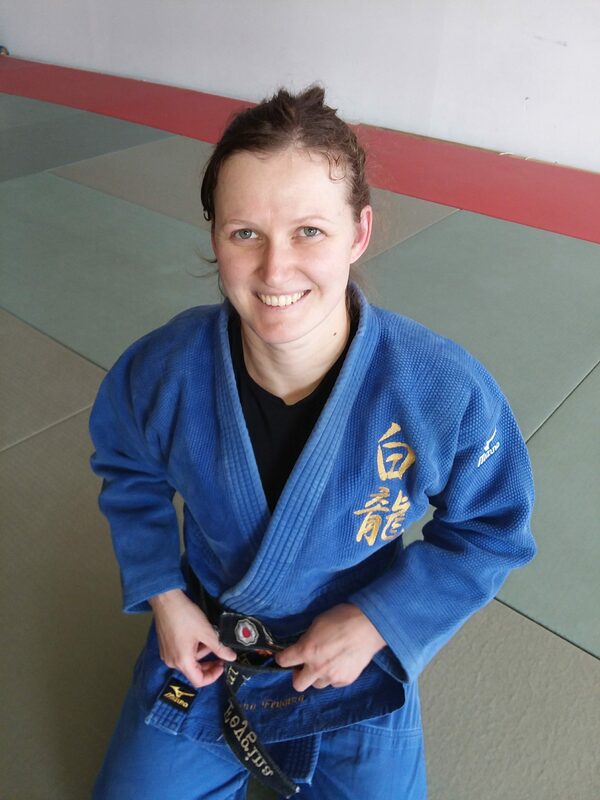 Anna Feygina is the most decorated female judoka in the history of White Dragon Judo Club. 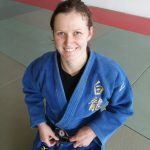 She has won numerous medals and matches under the White Dragon label. The couple recently moved to Texas to further their careers. JUDO brings many people from different backgrounds together. The friendships are unbreakable. We the members, staff, and instructors of White Dragon Judo Club would like to wish you and your families a Merry Christmas and prosperous New Year.